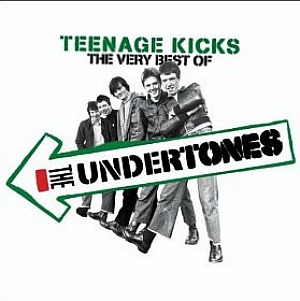 The Undertones were a punk rock/new wave band who formed in Northern Ireland in 1975. The band's debut single release in October 1978 was Teenage Kicks (a firm favourite with the now deceased Radio One DJ John Peel), which reached #31 in the UK singles chart. "Teenage dreams so hard to beat, every time she walks down the street..."
The popularity of the band's early 80s songs was partly due to the fact that the lyrics rarely focused on the political troubles in their home country. Instead, they concentrated on issues that just about any teenager in any country could relate to such as adolescence, angst, falling in and out of love etc. The band released thirteen singles and four studio albums before they disbanded in July 1983. The Undertones reformed in 1999 (lead singer Feargal Sharkey was replaced by Paul McLoone) and are still together. Released in May 1979, the band's self-titled debut album peaked at #13 in the UK charts. The songs were pretty short, with quite a number of tracks lasting for less than two minutes. The band's first two single releases Teenage Kicks and Get Over You were not included on the original album release on the independent label Good Vibrations. After the band signed-up to Sire Records in October 1978, a re-release of the album 12 months later did include these singles. 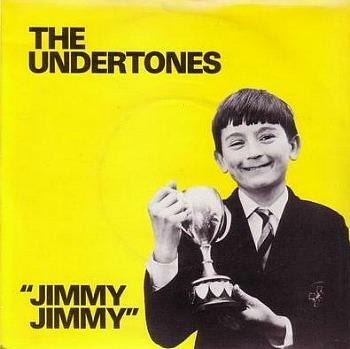 For the Spring of 1979, The Undertones released the second track from the B-side of their debut LP, Jimmy Jimmy, as their third single. At 2:41, it was actually the lengthiest track on the album, and went on to reach #16 in the British singles chart, making it the highest-charting song of 1979 for the band. Who's the young lad holding a trophy? It's lead vocalist Feargal Sharkey! The second album was released as an LP in April 1980, reaching #6 in the UK, making it the punk band's most successful album. On average, the songs lasted longer than on the debut album, with Hard Luck and What's With Terry actually breaking the 3 minute barrier! 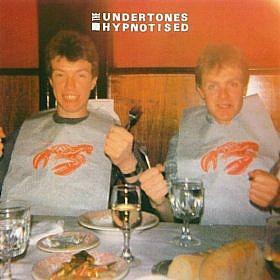 My Perfect Cousin was the lead single from the band's second album Hypnotised, and was the only single by The Undertones to reach the Top 10 in the UK, reaching #9. The track was written during the summer of 1979 and released in March 1980. Wednesday Week was the second and final single from Hypnotised, peaking at #11. Heavily influenced by the 60s, the song was written by band member John O' Neill during a Christmas break in 1979 and released in July 1980. This was the last track to be released with Sire Records, and the band signed with EMI in 1981. 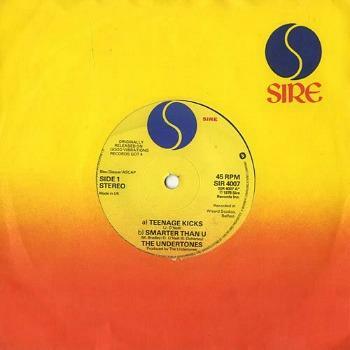 Released in May 1981, this was the third LP by The Undertones, reaching #17 in the UK. It was also the last one to be produced by the legendary New Wave producer Roger Bechirian. 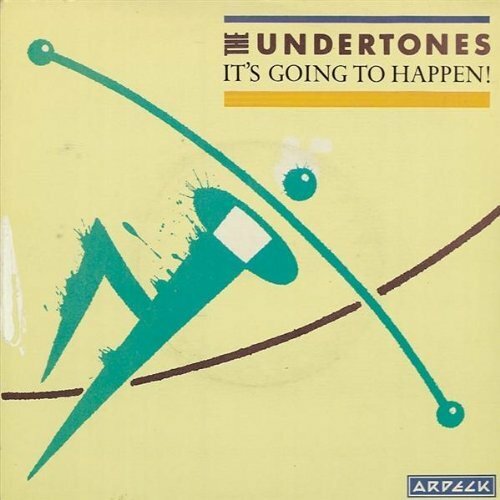 Released in May 1981, It's Going To Happen was The Undertones' last Top 40 single reaching #18 in the UK singles chart. 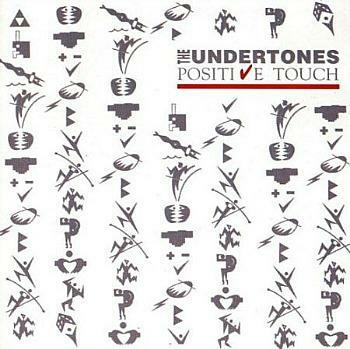 It was lifted from the album Positive Touch which peaked at #17 in the UK album charts. 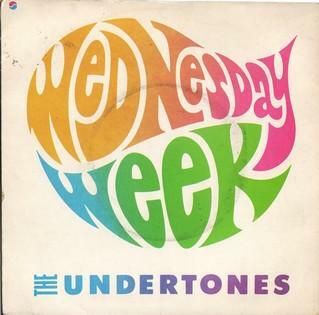 This was the first single to feature lyrics referring to political troubles in Northern Ireland. The subject was the 1981 hunger strikes in Northern Ireland, and the band performed the song on Top Of The Pops on the same day that one of the strikers, Bobby Sands, died on 5th May 1981.